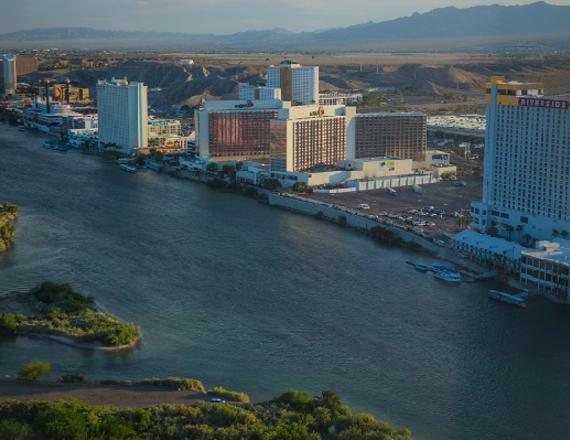 Located across the Colorado River from Bullhead City, Ariz., Laughlin averages over 300 days of sunshine per year. Get today’s weather and find out about the climate and seasonal temperatures. Better bring your sunscreen, that’s a whole lot of sunshine and plenty of things to do! With an average annual rainfall of 1.78 inches, the climate is classified as arid. The average temperature in Laughlin, Nevada is 75.4 degrees (22 degrees centigrade). Forecasts don’t get any better than that!